I was hesitant on buying this product initially for my son but decided to have a go when a friend recommended it. I have to say my baby absolutely loves it! It smells great, tastes great and it’s super quick and easy to make. Also it lasts quite long too. I love cerelac especially for on the go. i love how easy it is to prepare and it makes feeding ont he go so mcuh easier. i love the smooth consistency unless some others with bits. this is particularly great for kids who are new to solid. Easy to prepare. I used to eat them as a kid. I love the taste and it hasn’t changed at all. My two older sons loved them too. Its is also very versatile. You can add any puree in them and add their favorite puree. It’s easy to make, fills baby for longer, my son enjoyed it and different flavours are available. 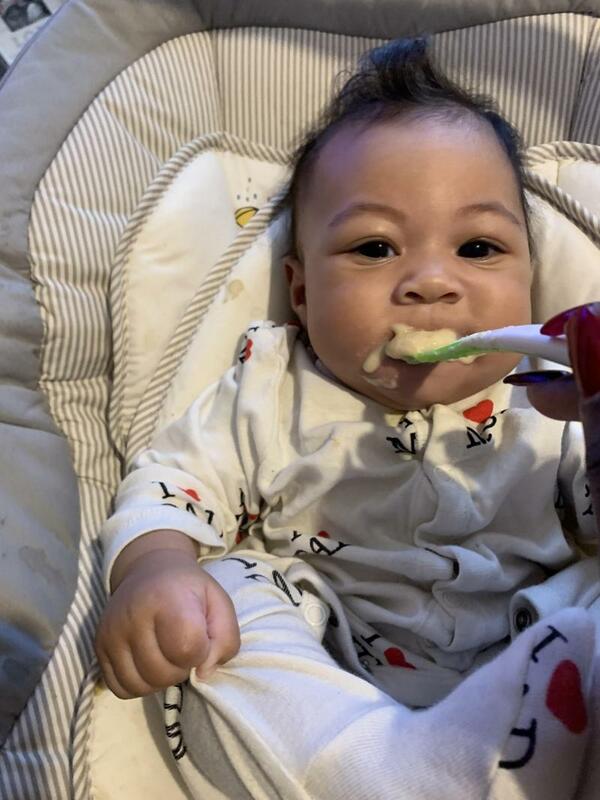 He started weaning his self and this is the first thing he tried and loved it every morning for breakfast and started to add different fruits to it. Highly recommend. Easy to use,good flavour,best price! My baby love this cereals,suitable for multiple mounth and years. I use this product regulary. Keeps my baby fuller for longer. Was able to wean my baby completely. She's happy with cerelac and she's fuller for longer. It's a great way to get babies into solids. It’s the best baby food, from my baby 4 months is the only one I still giving to him. Nestle have lots of flavours. I love this brand. I got sent a sample of this and my little boy loved it, it’s now a family favourite. It’s easy to make and it’s easy for my Little boy to eat too. We love that it's in a tin so easy to seal and keep fresh. It smells amazing and my little girl loves it. So easy to prepare in minutes. She always sleeps well for her nap after having this for breakfast. I actually bought this breakfast on offer in my local asda. I thought I would give this a try and I was going through a fussy stage with my daughter and to my delight she absolutely loved it. We add fruit and yoghurt to it to give her variety but the general taste is sweet, almost like a rusk. Tried this cereal which my baby liked but then I went onto the one with fruit in and this was a winner. Nice and handy in a tin and got the first one just the plain porridge from Asda but the fruit one was harder to obtain. I located it eventually in Waitrose. This was an all round winner. I actually received it first as a sample pack from Nestle but then went on to buy the tins. 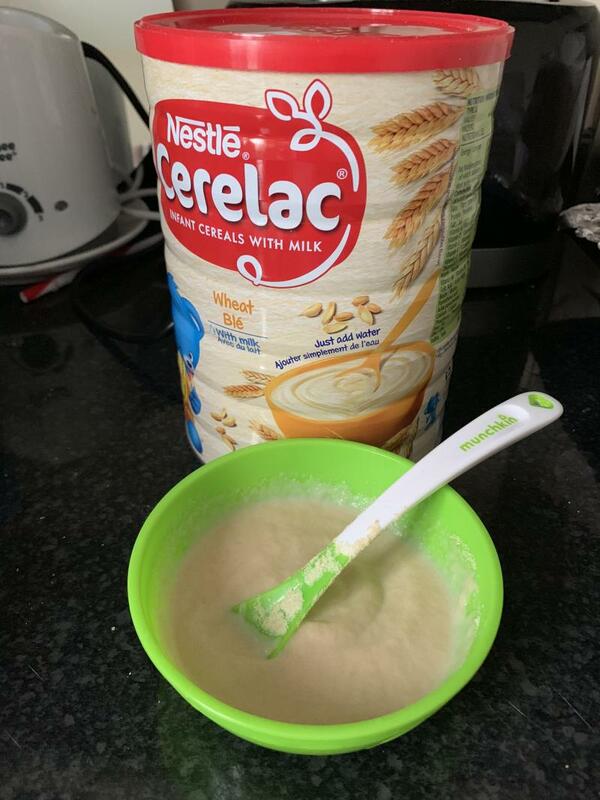 I was brought up on ceralac when I was younger and fortunate enough to try different flavours from the nestle ceralac brand and even as an adult and mum i still enjoy it. I brought back numerous boxes of the stuff from Europe on our last trip because its so tasty. Ceralac is the only thing we manage to get my son to eat well while he's ill. It's sweet, and it gives a nice smell when prepared. 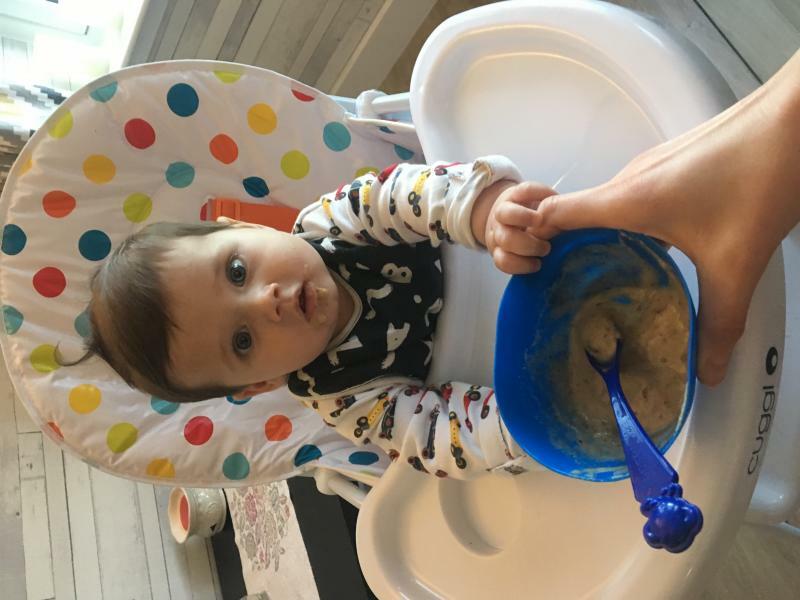 I normally prepare it with formula as it's the only way I can get my son to have any milk nowadays and he eats it so well still considering I first started giving my son this when I initially started to wean him on solid at about 6 months and hes now 13 months and becoming a picky eater. I would like to see it more widely available in UK as I struggle to find it in the supermarkets here. That was our favourite breakfast. My child really like it and she wanted at any time. I recommend to everyone how have a child. It is best product on the market. Very easy and quick to prepare. Has been the family product of choice for years. I loved it as a kid, my nephews loved it and hopefully my little one will do too. This has been used in my family for years and the adults enjoy it as much as the babies! It is very cheap to buy and the tin is sealed easily to keep fresh. 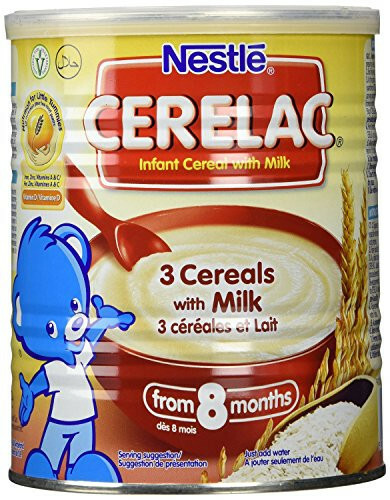 This is family favourite I grew up on cerelac my nephews and nieces grew up on it my little boy still loves it now has it every morning for breakfast and now my daughter got on to it and it seems as though she loves it just as much as the rest of us. I’ve also noticed my partner sneaking himself a bowl of the stuff. I can’t fault it in anyway to be honest. My daughter loves this food, it always fills her up before her morning nap time and she sleeps very well with it. Very happy and will continue to purchase! The vanilla scent is scrummy and it filled my baby up! I love this product. Its smells like a sweet vanilla and my baby loves it too. Ever since trying it we have switched to this full time. She loves her brekky! So easy to prepare. 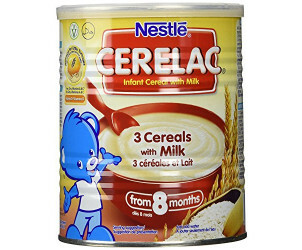 I starting using this product for my first child and I am still making Cerelac for my baby. They also love the Cerelac wheat flavour. Baby is happy after eating this. I always buy this. I recommend this product. The taste is great! It so much and my favourite combo with it is berries, Greek yoghurt, cinnamon and banana purée - and his too! The combinations are endless and it leaves a happy, healthy baby! A highly nutritious, instant cereal. Ideal to enrich breast milk or formula when they can no longer cover baby's nutritional needs. Please consult your health professional before using.